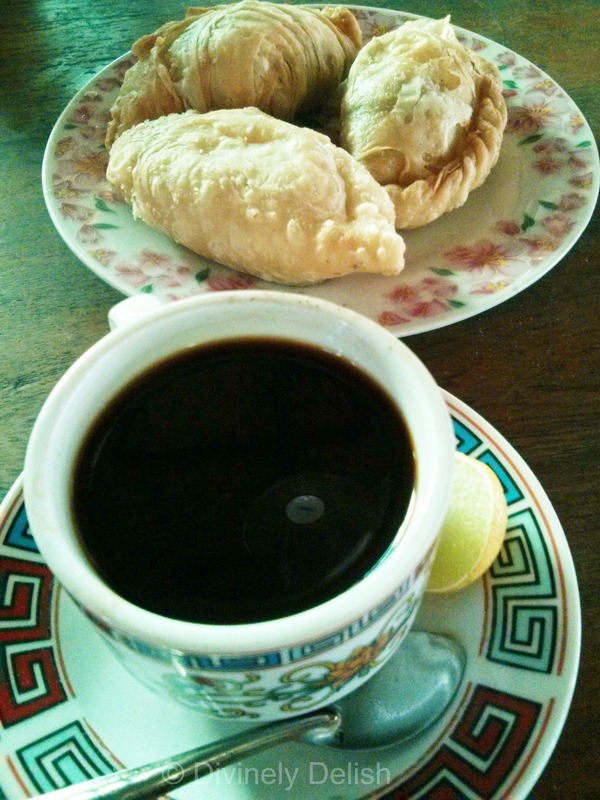 Sampling the local cuisine is undoubtedly one of the best things about travelling. I always take note of recommended places to go and “must-eat” foods. As I write this, I am reminded of the time I was in Jaipur, India, enjoying a most delicious lunch with my sister. We got so carried away with eating that we totally lost track of time and missed our tour that afternoon! While I don’t suggest doing what we did, there’s no denying that food is a huge part of travel. 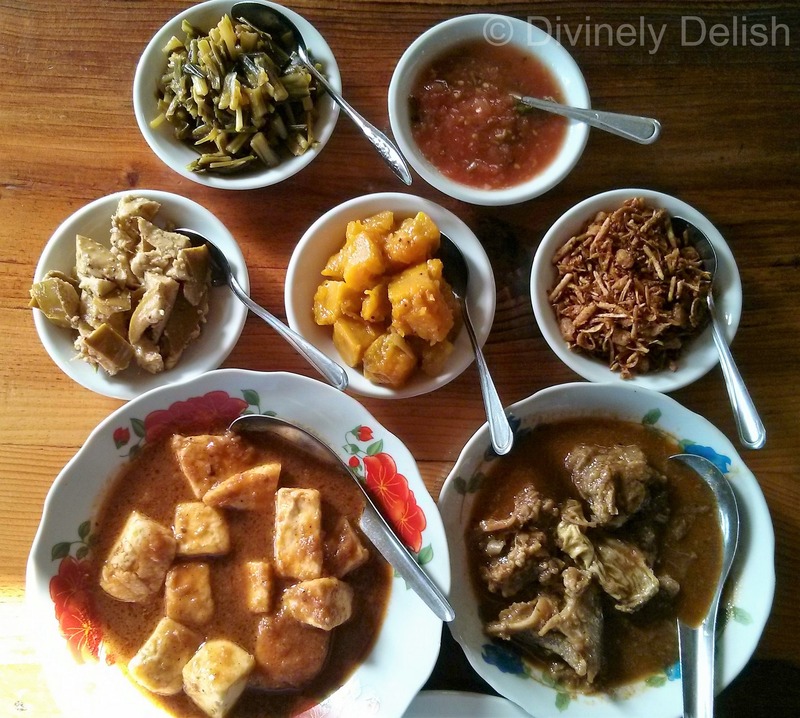 Burmese food, like Malaysian food, is a reflection of the multicultural fabric of the country. In the case of the former, it has been shaped by influences from many of the country’s ethnic groups, as well as Thai, Indian and Chinese cuisines. All this makes for some pretty great tasting food! 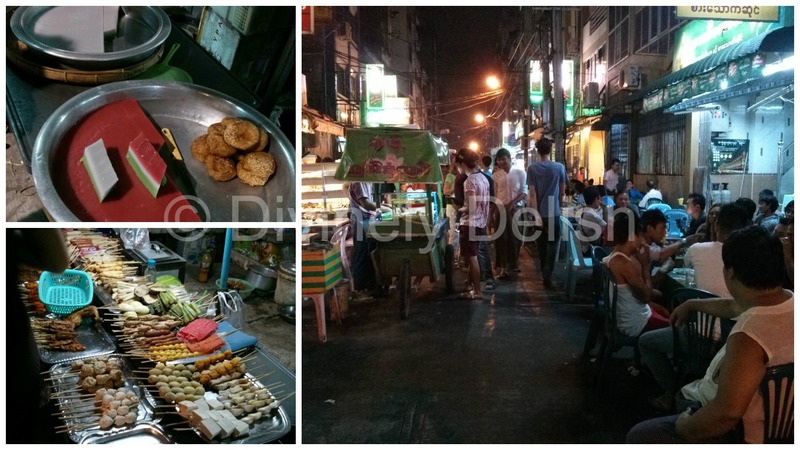 Not surprisingly, there are similarities to foods found in other parts of Southeast Asia. 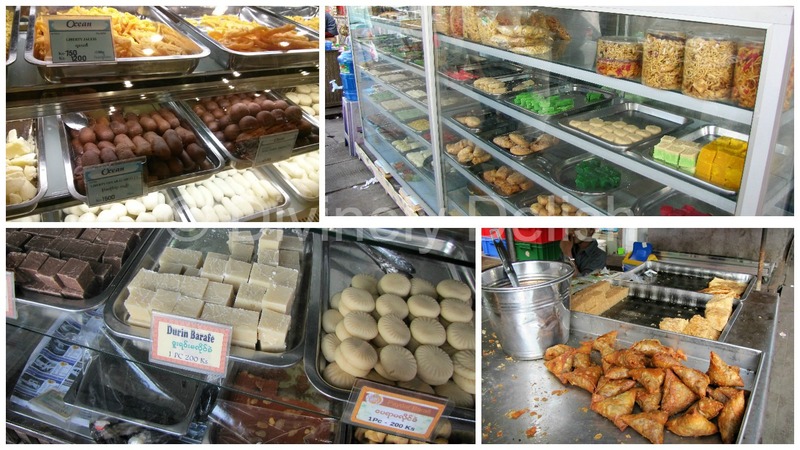 I recognized what I know as roti canai, cendol, and kuih angku, to name a few. Palata, an Indian-influenced flatbread very similar to Roti Canai. It’s even made in the same manner. 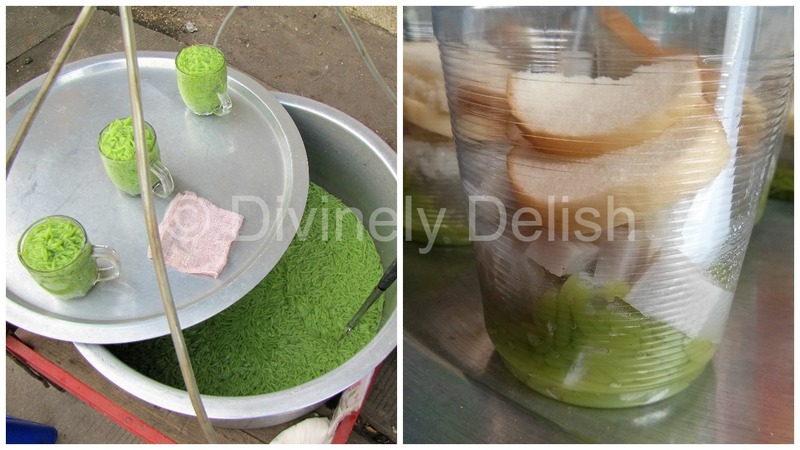 Cendol, which are short, noodle-like jellies, are used in drinks/desserts in Malaysia. 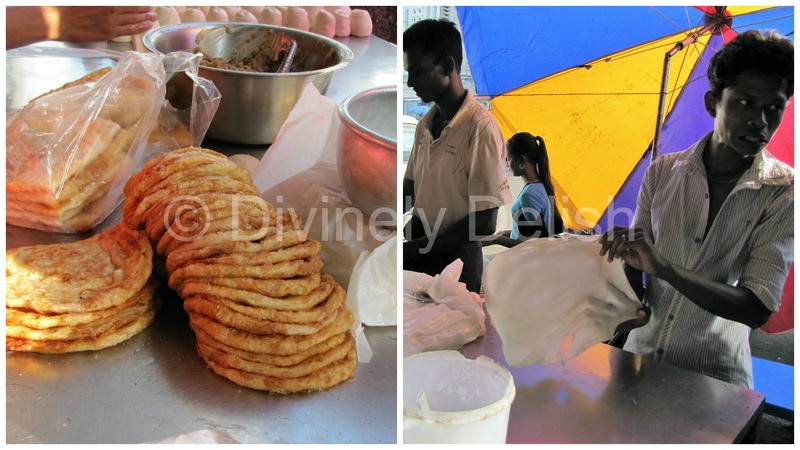 In Myanmar, one way they are used is in a dessert called Shwe Yin Aye, which includes bread! It’s common to see Indian snacks. 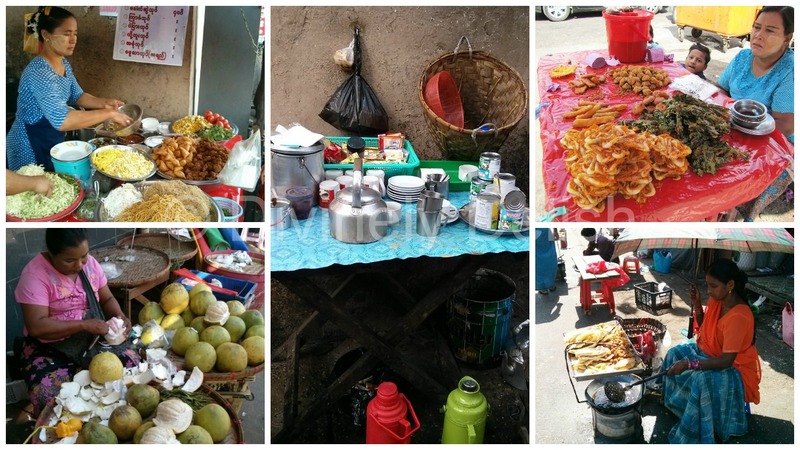 Burmese-style samosas are sold everywhere on the streets. 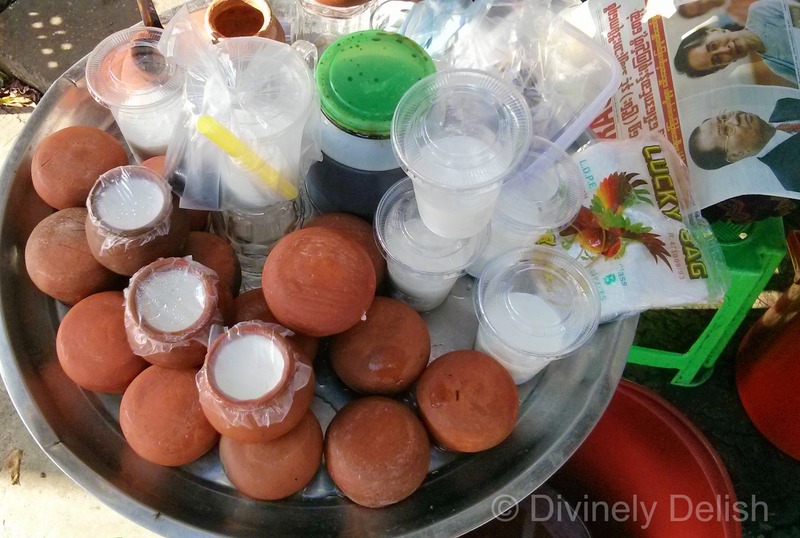 A “samusa” is usually filled with mutton and onions and is smaller than the Indian kind. A typical meal in Myanmar consists of steamed rice as the main staple, a curry dish (usually fish, prawns, chicken or mutton), a plate of raw or boiled vegetables served with a pungent ngapi sauce (made from salted, fermented fish or shrimps) and a small bowl of soup. An additional side dish might be lahpet (pickled or fermented tea leaves). There are two ways of serving lahpet. 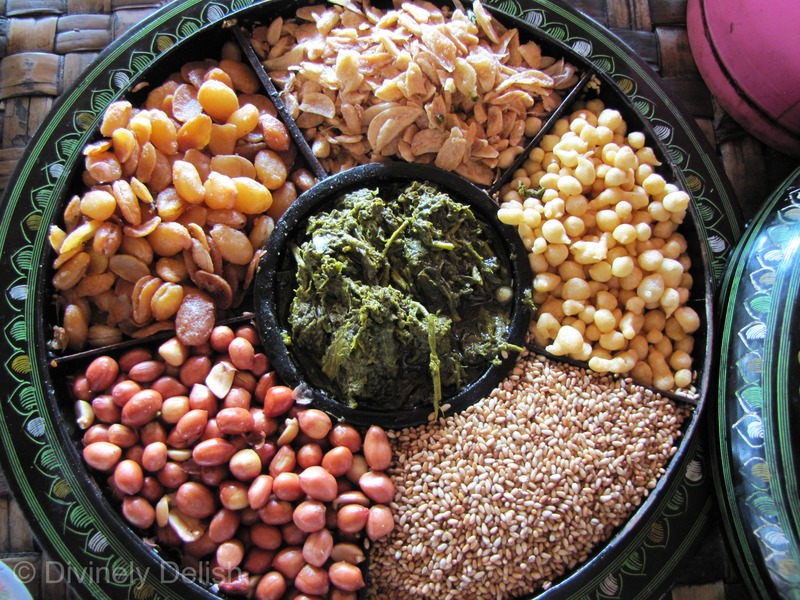 Traditionally, it’s served as Ahlu Lahpet – as a snack in a lacquerware tray, alongside deep-fried crunchy butter beans and yellow split peas, crispy garlic chips, roasted peanuts and toasted sesame seeds. You put a little of each item on your plate and eat it all together. Lahpet can also be served as a salad (Lahpet Thoke) as part of a meal, where the same Ahlu Lahpet ingredients are mixed with shredded cabbage, green chillies, garlic, lime juice and oil. 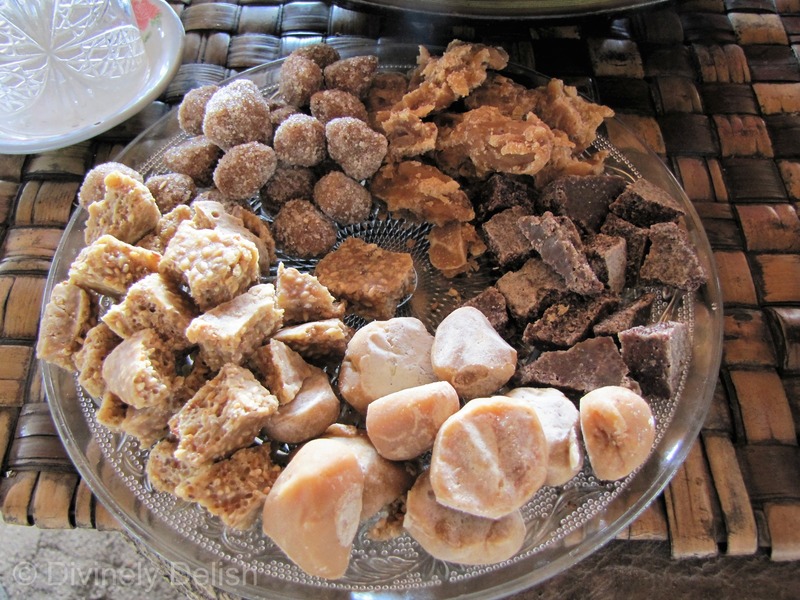 To finish off a meal, restaurants will usually offer jaggery – chunks of “candy” made from toddy palm – which is believed to aid in digestion. The one dish everyone has to try is, of course, Mohinga, which is probably considered by many to be Myanmar’s national dish. Traditionally eaten for breakfast, it’s rice vermicelli in a spiced fish soup, served with slices of hard-boiled eggs and fried fish cakes, and garnished with coriander, dried chilli flakes, crisp fried shallots and a squeeze of lime. 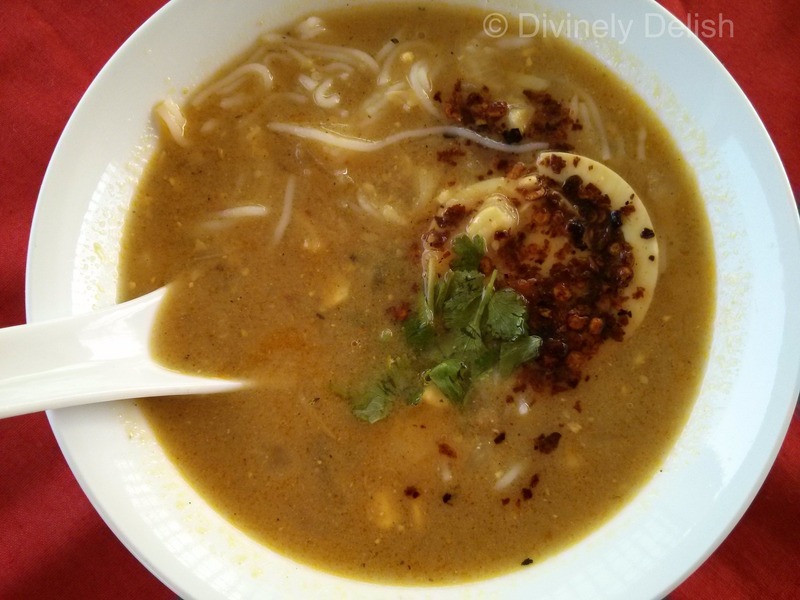 Mohinga – a traditional Burmese breakfast that I thoroughly enjoyed! 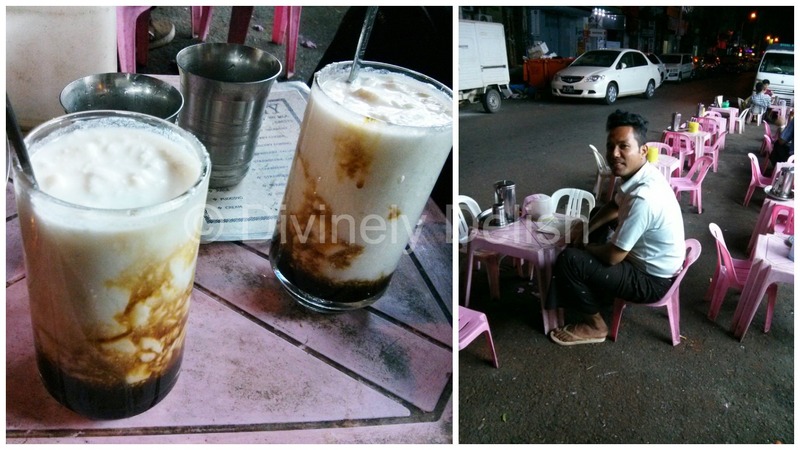 On my first night in Myanmar, I met a man named Khant, who showed me around Sule Pagoda, then took me to one of Yangon’s ubiquitous roadside cafes, where we ordered yogurt drinks with palm sugar syrup. This kind of drink is very popular in Myanmar, but personally, I didn’t like the taste or consistency (there were lumps of curdled yogurt). 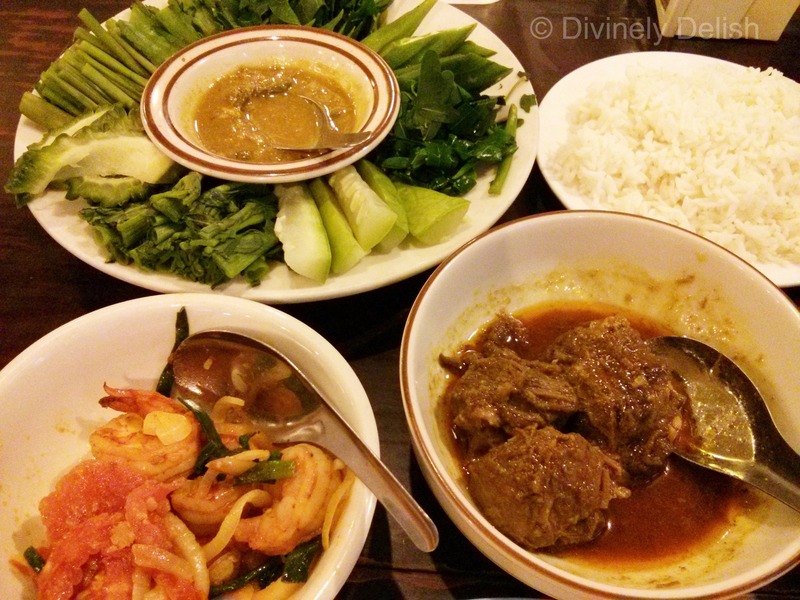 Aung Thukha (Yangon) – 5 out of 5 stars. 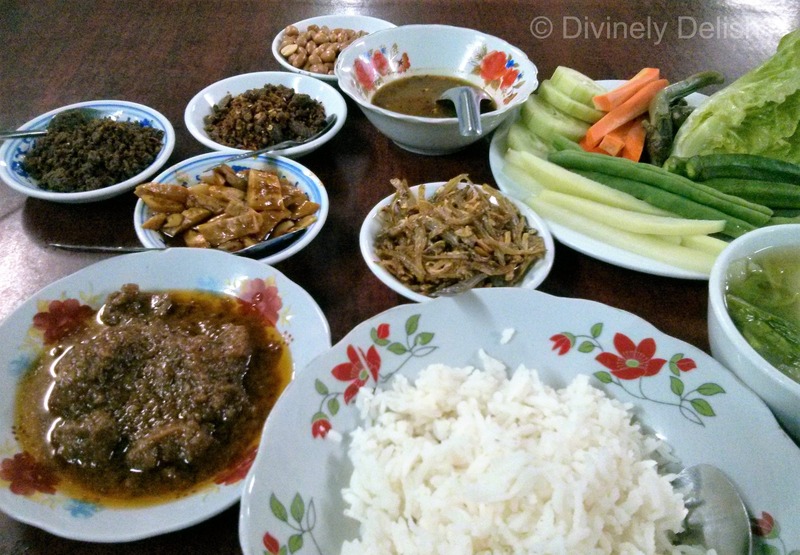 I had my first meal in Myanmar here, and I have to say this was probably one of the best, if not the best, meals I had during my time in Myanmar. I ordered pork curry and venison curry. They came with side dishes including pickled tea leaves and crisp butter beans, vegetables with a shrimp paste (ngapi) dip, and soup. Delicious food at a very reasonable price! 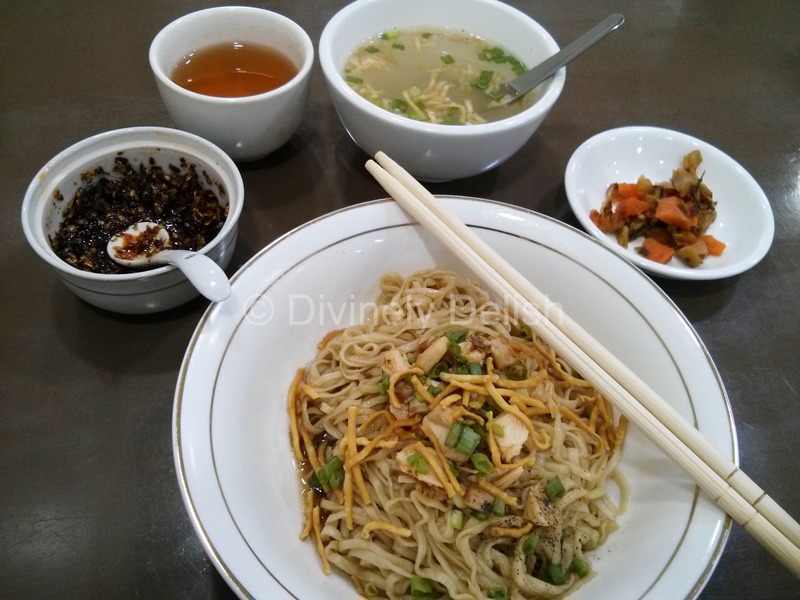 999 Shan Noodle House (Yangon) – 5 out of 5 stars. This highly-rated restaurant was just a couple of blocks from where I was staying so I had to try it out. I ordered a noodle dish with chicken. Don’t expect anything more than a few tiny pieces of chicken, but it was tasty, and came with a small bowl of soup and a little bit of pickled veggies. It only cost 1300 kyats (~US$1). The restaurant is clean and the waiters were very friendly. 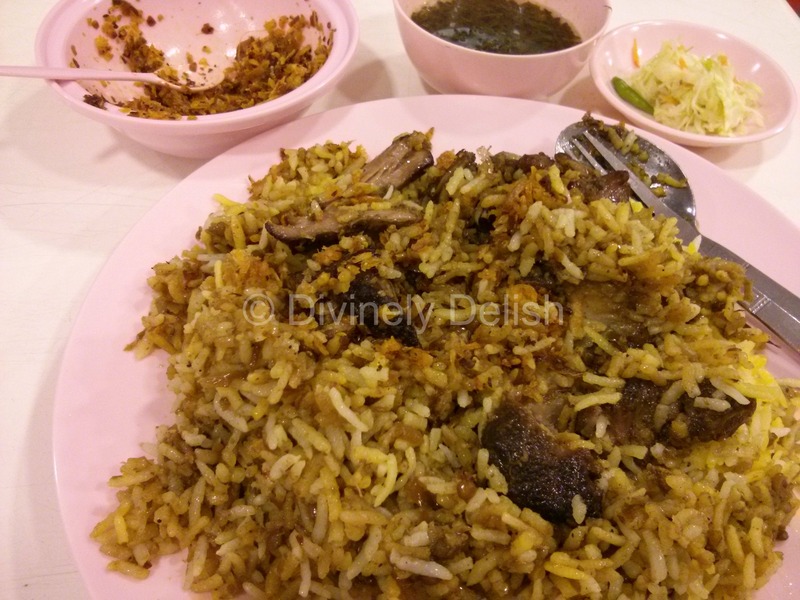 Nilar Biryani (Yangon) – 5 out of 5 stars. Lonely Planet said this was the best biryani in town, and I was not disappointed. The restaurant has a fast food type of setting, so nothing fancy, but it was clean, the food and service were good, and it was inexpensive. The 2nd floor dining area is air conditioned, which was nice, after walking all day in the heat of Yangon. 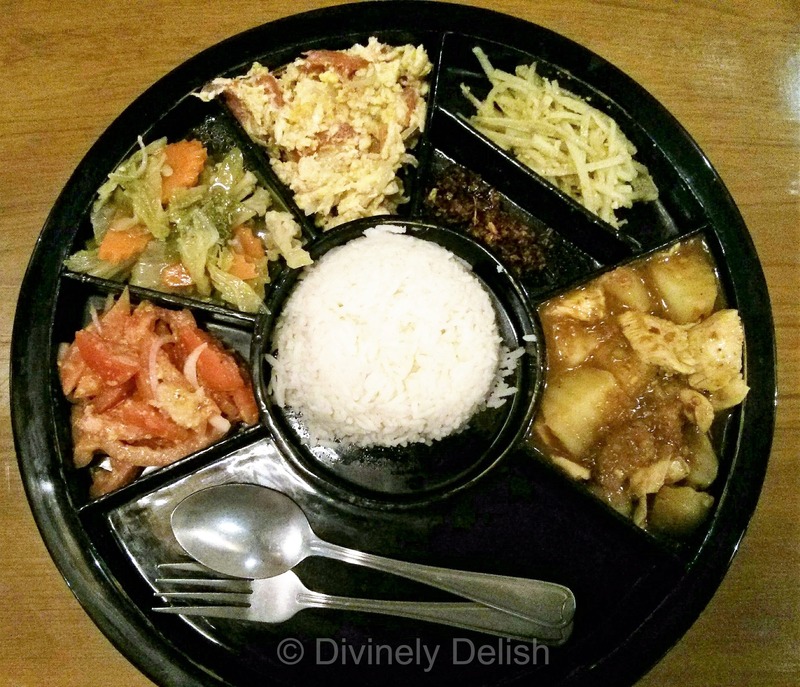 Feel Myanmar Food (Yangon) – 3 out of 5 stars. I came here for lunch, but perhaps I came a little too late because the large buffet-style selection of food was mostly gone. So I didn’t have a lot of food to choose from. I had a prawn dish and what they told me was lamb curry. However, when I got the lamb dish, I realized that it was lamb innards and promptly told the waiter that that was not what I had ordered, and they exchanged it for meat. Both dishes were ok, nothing to rave about. But seeing that it’s obviously a popular restaurant with the locals too, I know the food was authentic, and the prices were decent. I think I just got unlucky with the dishes that I ordered. It would be a good place to go if you had several people in your party so you can try lots of different dishes. Lin Htett (Nyaung Shwe) – 4 out of 5 stars. 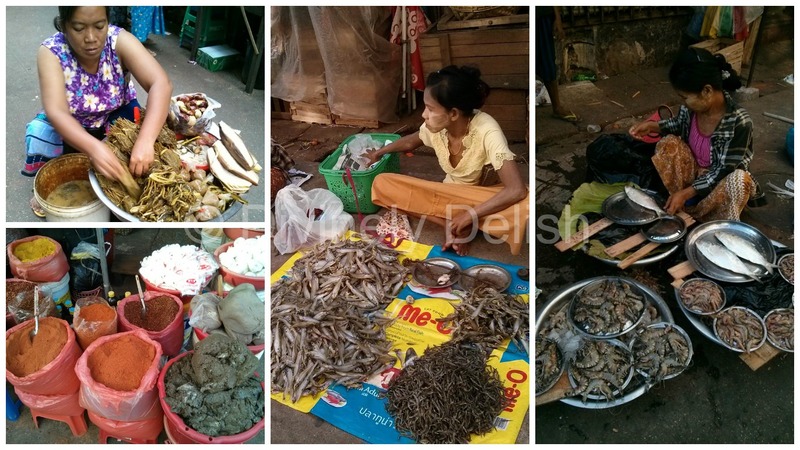 There are a lot of tourists in Nyaung Shwe, and restaurants that try to cater to these tourists. But I wanted to eat local food, and came here on the recommendation of Lonely Planet. I ordered a Mutton Curry, which came with rice and a variety of side dishes, including soup, veggies, fried peanuts and fried anchovies. I didn’t like all the side dishes, but the curry was good. 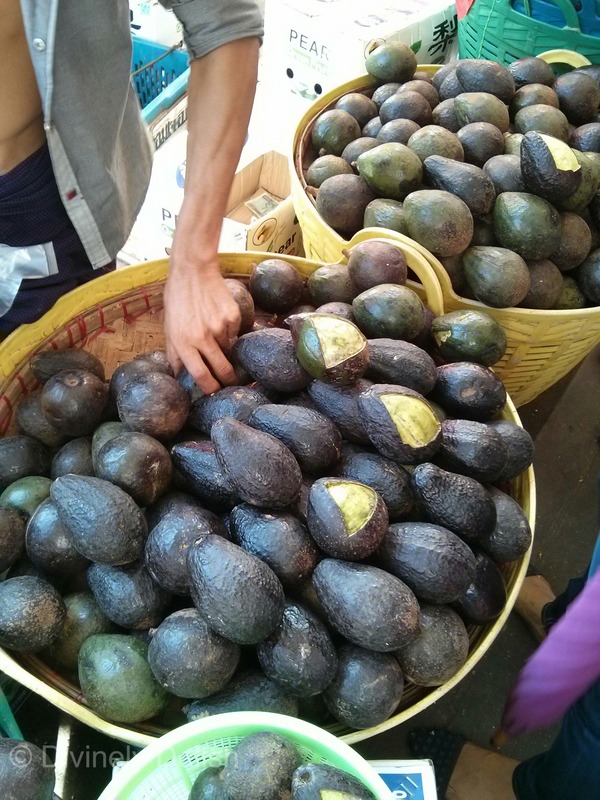 And all this for just 3000 kyats (less than US$2.50). 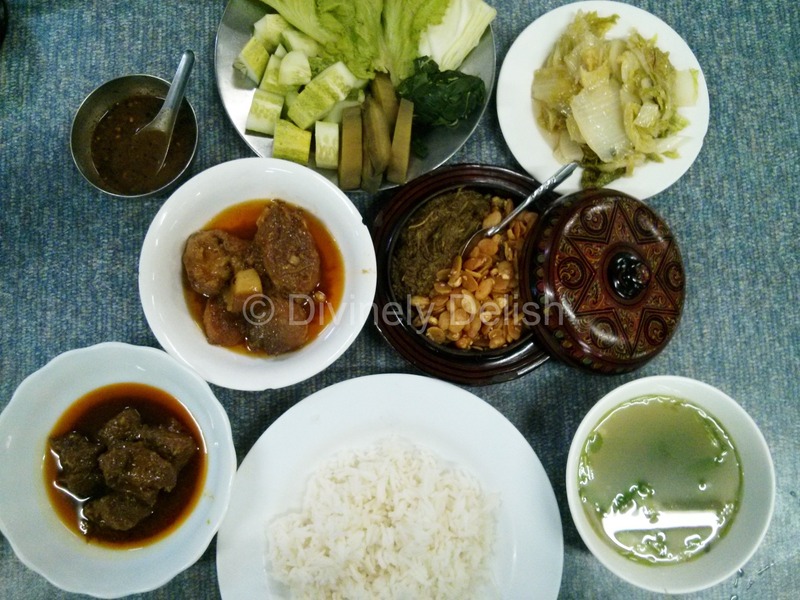 Everest Nepali Food Center (Nyaung Shwe) – 3 out of 5 stars. I ordered some curry, which came with rice and a bunch of side dishes. The food was excellent. However, I’m rating this 3 out of 5 stars because of an unfortunate incident. I think it was the owner’s little toddler that was running around in the restaurant, and then he urinated on the floor. It was the middle of the afternoon, and I was the only guest in the restaurant at the time. The mother got one of the kitchen staff to come out to clean up. I was so disgusted because I wasn’t sure if she’d wash her hands before serving me. If I hadn’t been starving and had other restaurant options nearby, I think I would’ve just walked out. Queen (Bagan) – 5 out of 5 stars. I was staying in Nyaung U, and wouldn’t have known about this restaurant (which is a little ways out, on the road to Old Bagan) until Myothiha, my driver/guide, suggested we go there on my last night in Bagan. It’s a big restaurant, but with nice ambiance. It’s apparently popular with tour operators, but fortunately, we went a bit later in the evening, when it was pretty quiet. Myothiha suggested I try the chicken curry, served Bagan-style, in a large lacquerware dish that included rice and side dishes. The food was simply delicious! What a memorable way to end my stay in Bagan and Myanmar!